Our team focuses on working with clients to make sure they are fully educated on their employee benefits. Many of our clients work at large institutions such as hospitals, automotive companies, or law firms. 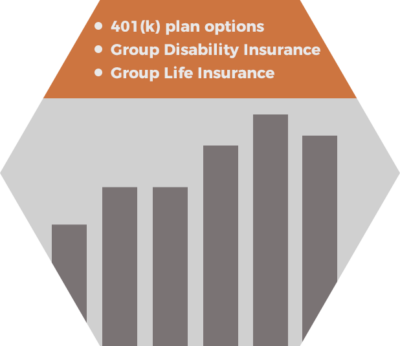 Unfortunately, we find that many clients do not fully understand their 401(k) plan, group long term disability insurance, health insurance savings plans, and group life insurance options. Reviewing and understanding these benefits is an important part of a comprehensive financial plan. We believe the best way for business owners to attract the most talented employees to their companies is to offer comprehensive benefits. A major objective of employee benefit planning is to direct compensation to employees at the lowest after tax cost to the company while providing a benefit that is either tax-free or tax favored to the workers. Business owners must carefully scrutinize benefit programs from the standpoint of cost versus need. The options can be numerous and complex. We offer consulting services on 401(k) plans, profit sharing, cash balance, and money purchase pension plans. Should I have disability and life insurance outside from my employer? Yes, it is important for most individuals to have disability and life insurance outside of their employer’s group offering. Although it is very inexpensive to have disability and life insurance coverage through work, we see that many of our clients need additional coverage and also might not work at a single employer their entire career. Owning your own life and disability insurance, which is portable, allows you to lock in your medical insurability and minimizes the impact of a change of employer or employer’s benefits. What are the limits to save into a 401(k) plan? The IRS currently sets the limit for annual employee contributions into a 401(k) plan at $18,500 for 2018. This increases to $24,500 for individuals who are age 50 and over by year-end. If your plan has a profit sharing option, the total limit for all contributions in 2018 is $55,000 (not including the catch-up for individuals who are at 50 and over). Can I have a 401(k) plan that rewards certain employees over others? Yes, you can design a 401(k) plan that allows your employees to contribute to their plan and also allows the business owner to allocate additional contributions from the company to pre-defined groups of employees.